NCECA Open Volunteer Board Positions—Nominate Now! 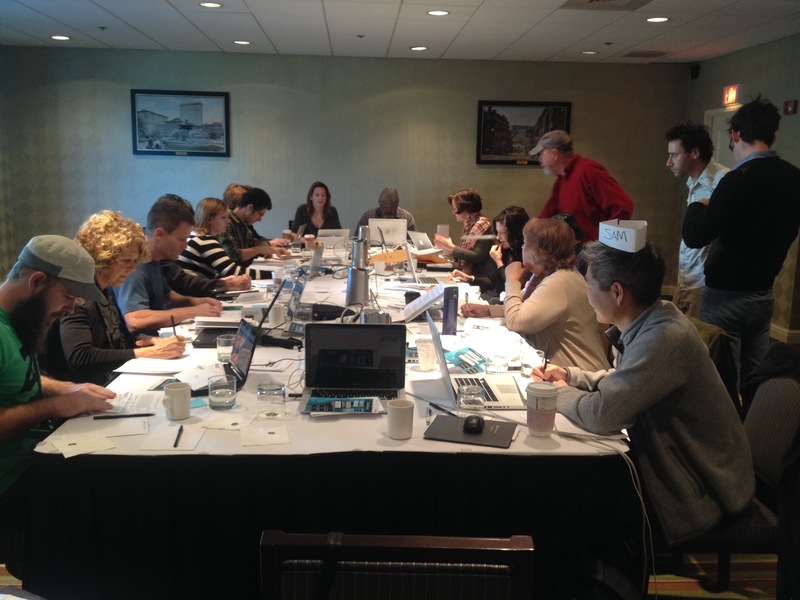 2013 NCECA Board hard at work in Providence. 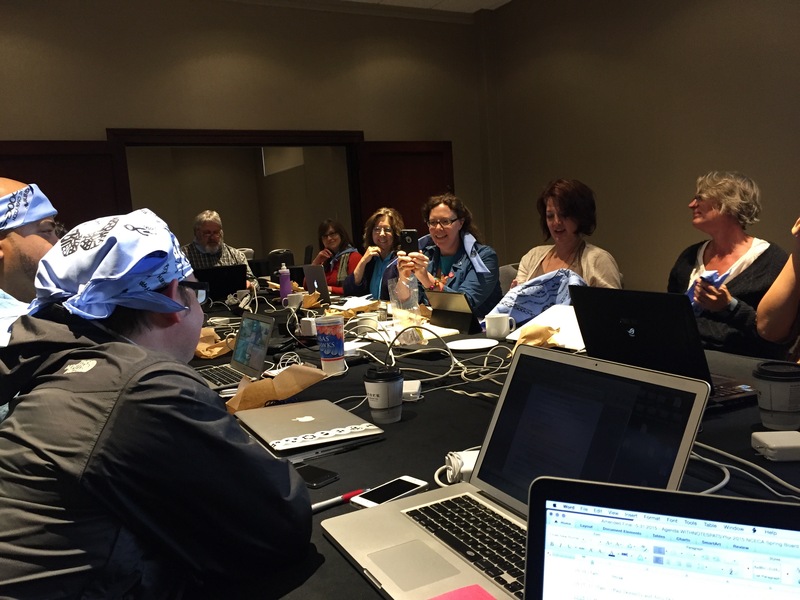 2015 NCECA board hard at work in Kansas City. Over the years some amazing individuals have come forward to serve NCECA. We’ve been incredibly fortunate that our tables have been set by such intelligent and caring advocates who have worked diligently to create the experiences we share each year. We’re in need of a few great folks to join the NCECA board to continue to advance our mission and goals. The NCECA volunteer board members come straight from the membership, people just like you and me. It’s an incredible time as we put our birthday hats on to celebrate our big 50th anniversary and we’re looking for individuals that have the desire, skills and willingness to help lead us into the future. The NCECA board has four board positions to fill in the upcoming year. We’re seeking nominations for Student-Director-at-Large, a two-year position, currently being held by superstars Jennifer Chua and Shalya Marsh. SDAL’s inherently share student perspectives in their role as board members. We’re also seeking out nominations for Director-at-Large. These past few years have been fortuitous with exceptionally gifted folks serving in this three-year position. Roberto Lugo, Dandee Pattee and Jane Shellenbarger are our current DAL’s and you can see the impact they’ve had on everything from the Gallery EXPO to Emerging Artists and International Residencies to Topical Discussions and NCECA Connections. It’s a big year as we are also looking to fill the position of President-Elect, a leadership experience that is incredibly rewarding and currently filled by Christopher Staley who will transition to NCECA President at the end of the conference in Kansas City. Our beloved Lee Burningham will be completing his last year with the board and we are looking for nominations to fill the position of Treasurer. We all know someone who would be a great fit in any one of these positions and we hope that you will help us to identify or to come forward yourself for the experience of serving our membership. Go here to find out more specifics on the open board positions. Nominations are currently being accepted and online submissions will close on SEPTEMBER 16, 2015, so nominate now. As always, please contact me if you have any questions at all about the open board positions at patsycoxnceca@gmail.com.